Also at the red table I have a TEACCH Binder system implemented. 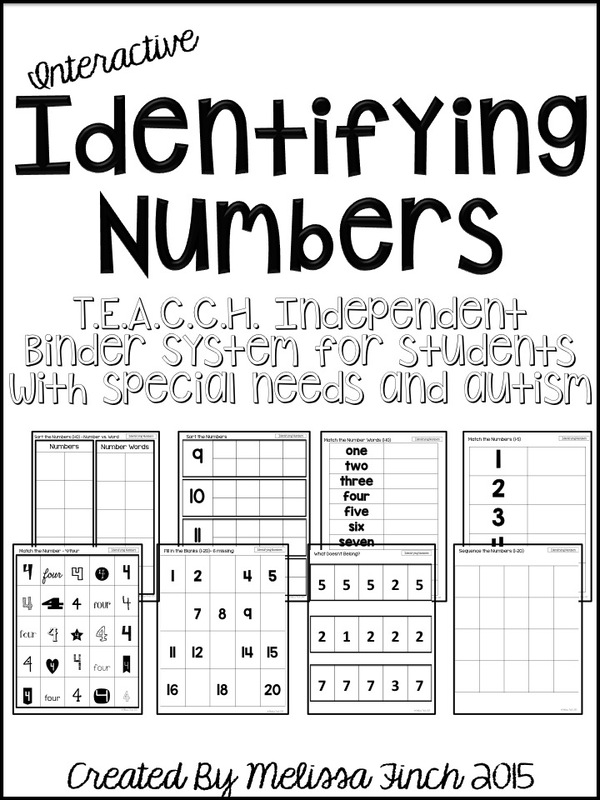 The Binder Work system was designed to create a systematic routine system for students to work independently on already mastered skills that they learn at the math, reading, and writing centers. 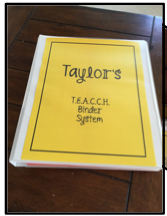 There are “student binders” and “master minders” included in this system. Master binders are shown to the right. 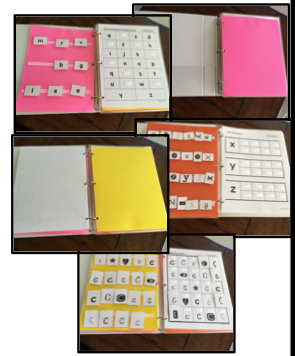 These are large three ring binders that store the reusable work tasks by subject. These are managed by staff members- students do not work from them. Each student has their own labeled student binder. The students work out of their binder at the red table during work centers. 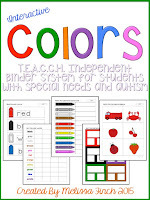 They have anywhere from 2 pages to 20 pages to work on at a time depending on the students abilities. 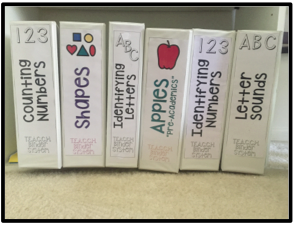 Student binders are set up each week for new interactive pages. 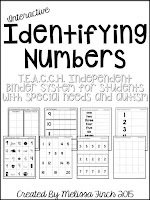 Depending on the students abilities, different interactive pages are pulled from each subject master binder including from the seasonal activities binders. Master binders are stored on a bookshelf next to all of the student binders. I really am enjoying your blogs. 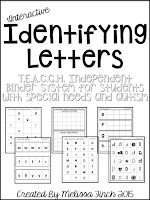 I have been a general classroom teacher for 12 years, but last year I switched to Special Education. I am definitely having to learn a new world, and have had to research a lot in order to make my position work. I have a question for you: Do you use task boxes AND binders? If so how do you implement them together? I'm really just trying to figure out how to implement structured learning with my students. Much of this will done in the classrooms as we are moving towards a more inclusion based school. Any suggestions?